This is a Dolby Atmos ready home cinema system delivers incredible high acoustic performance with an elegant and contemporary design. Earn 699 loyalty points when you order this item. 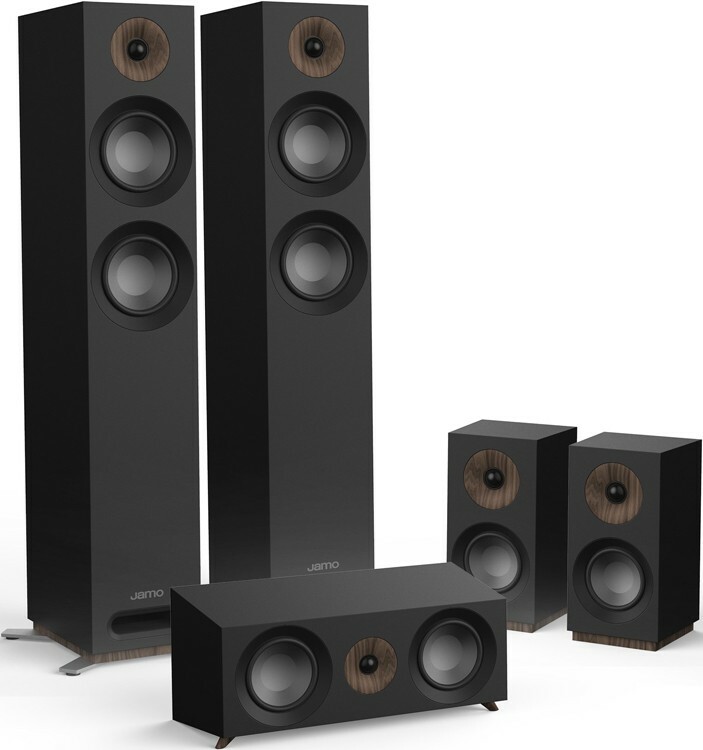 Jamo S807 HCS 5.0 Speaker package is a complete Dolby Atmos Ready 5.0 Home Theater system comprising a pair of S807 floor standing Speakers, a pair of S801 bookshelf Speakers for Surround Sound and an S81 Center Channel Speaker. 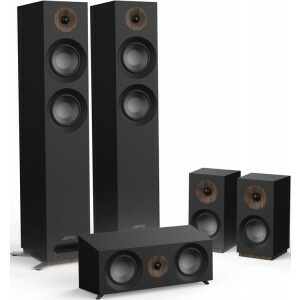 Studio 8 WaveGuide technology focuses high frequencies for dynamic, powerful sound. Unlike any tower speaker, the S 807 is Dolby Atmos-ready and able to deliver incredible acoustics with patent-pending connection points atop the cabinet for seamless integration of the S 8 ATM topper to deliver the overhead effect of Dolby Atmos. The S 801 bookshelf speaker features a 1” soft dome tweeter for smooth, refined high frequencies, with a 4” polyfiber woofer for balanced, musical low end. The integrated WaveGuide focuses the high-frequency sound for dynamic, true-to-life reproduction, while the rear-firing port allows for better low-frequency extension. The S 81 CEN is engineered for clear, balanced dialogue reproduction, making it an ideal centre channel for a premium surround sound system. The WaveGuide focuses frequencies in the vocal range directly to the listening area so the dialogue is clear, articulate, and realistic, and you never miss a detail. Fully magnetic grilles - no mounting holds or push pins - for a clean, minimalist front baffle design. Large, woven pattern linen grilles create visual interest with heavy texture and come in two unique colours - heather grey with white models, and charcoal grey for black or walnut finishes. Wood grain accents around the tweeters, at the bases and feet, give a handcrafted, natural look. A 3" taper on the cabinet accentuates the slim design aesthetic of Studio 8 speakers. Dolby Atmos-ready speakers deliver sound that comes alive from all directions, including overhead, to fill any room with astonishing clarity, detail and depth. 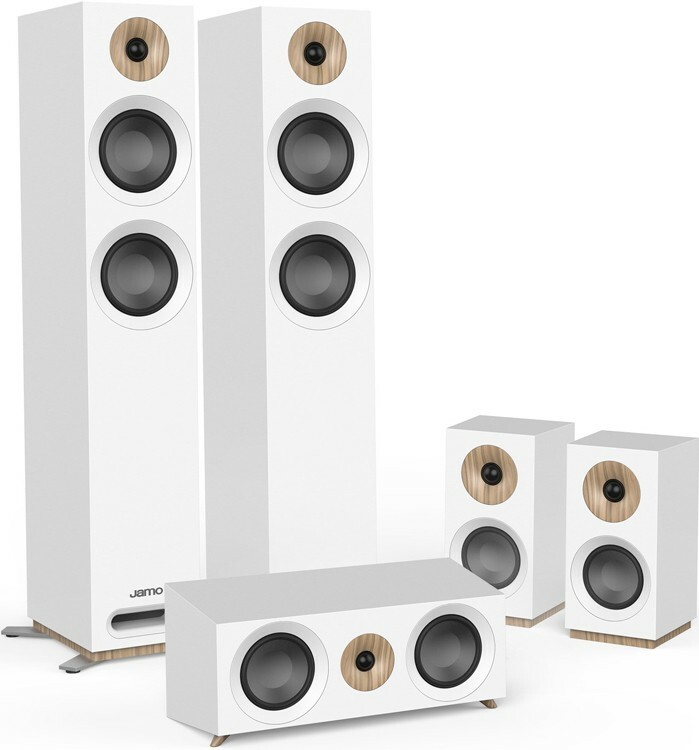 Dolby Atmos topper's metal feet innovatively align with patent-pending integrated conductive metal contacts on capable Tower and Bookshelf speakers, so the back of the Topper has a clean design, free from any inputs or wires.